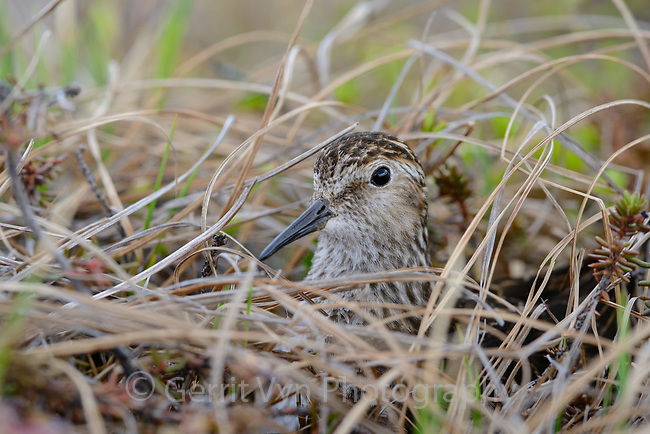 Least Sandpiper (Calidris minutilla) peering through sedges while incubating a nest. Yukon Delta National Wildlife Refuge. May.